We are mobile app designers in Chicago working alongside mobile app developers Plego Technologies who create mobile applications for all platforms and devices including Android and iOS. Our robust mobile applications allow businesses and consumers to access all the data and information they require whenever they need it. Your company can leverage apps in many different ways including sales support, commerce, events and trade-shows and corporate communications. Our mobile app company delivers intuitive interfaces with an eye for design while keeping current with SDKs, APIs and other major development platforms in order to produce high quality mobile applications for businesses across Chicago, Wisconsin and Illinois areas. In need of a custom iOS, Android or Windows app? Favor a cross-platform responsive web app? Want a secure back-end? If your business needs it, we’ll create it. Our company strives on mobile apps while adhering to best development practices allowing us to scale up the app as requirement grows. From Ipad to iPhone, we’ve built many iOS apps. With demand continually growing for iPhone apps, our developers and designers have mastered the art of iOS usability and design across many industries. Our Custom Android Application Development service builds custom applications that are user friendly, responsive and smooth. Utilizing open source, our mobile app developers will create an intuitive experience for users setting you apart from your competition. If your website is not responsive, you’re not taking advantage as much as you could with user experience, Google and search engine optimization. We create a viewing experience for easy reading and navigation. We’ve been making our websites, WordPress websites and web apps responsive for years. We build fast-loading websites and apps that work across a wide range of smart phones and devices. 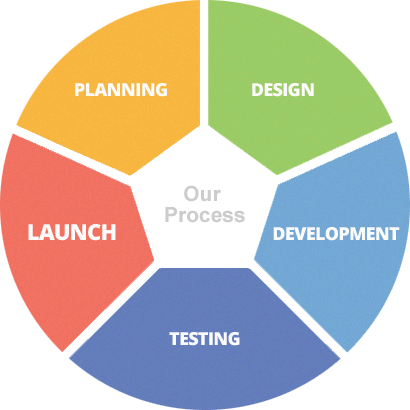 We are ready to design your mobile application success. Let Us Build An App! Ready to move forward with an new app for your business? Give us a call or email to find out how Operation Technology can assist with your mobile application needs. We’re here to help every step of the way.